A unique shopping experience : : A shopping destination in the heart of Stony Stratford : Odells Yard, Milton Keynes. Between Northampton, Buckingham, Milton Keynes and Towcester, Odells Yard at Stony Stratford is a delightful group of shops conveniently situated in the centre of this historic market town. Odells Ironmongers has been in business on the same site in Stony Stratford since 1740 and has now converted the old workshops and warehouses to create a number of beautiful and individual shops facing onto a secluded courtyard. When you shop in Odells Yard you can select gorgeous gifts from Inspirational Elements, designer kitchenware from Odells Kitchen Cupboard, huge stock and good old fashioned advice from Odells Ironmongers and last but not least a wonderful array of wines from the Stony Wine Emporium, rounding off your visit with a coffee or a Mediterranean Platter either in the Stony Wine Emporium or outside in the courtyard. In the summer months the yard will also host a market on most Saturdays. Starting at Easter with a food and arts market and the traditional Easter Egg Hunt, these markets will feature local produce and arts. Click here for dates and details. 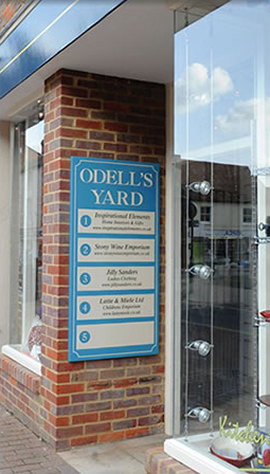 If Milton Keynes shopping centre is too big and impersonal then we can offer you a refreshingly different experience - just come and visit Odells Yard. 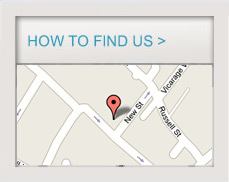 Compared to shopping in Milton Keynes, Stony Stratford has a different pace, charming shops and has easy and free parking, Odells yard even has its own car park for customers, access via Russel Street or Vicarage Road, click here for a map.